Russia is currently working on a prototype of the Sarmat heavy intercontinental ballistic missile (ICBM), which is likely to be ready by October, a source in the country’s military-industrial complex told TASS news agency on Friday. The production of the prototype was previously expected to be completed by June. According to the source, more than 60 percent of the missile has been already manufactured at the country’s Krasnoyarsk Machine-Building Plant, while engineers are currently conducting production tests of individual components and assemblies, including engines. The flight tests of the missile are expected to begin in 2016. Russia’s Deputy Defense Minister Yury Borisov reportedly said in February that Sarmat will be equipped with several configurations, with the warhead having a mass of 10 tons. Once the production of the missile is complete, it will replace the strategic missile R-36M2 Voyevoda. “The prototype will have precisely the same size and mass as the future combat version. Instead of a MIRV warhead the prototype will carry a dummy. The booster will not be turned on. Sarmat will rise several dozen meters above the silo to fall nearby,” the source told TASS. MIRV, or a multiple independently targetable reentry vehicle, is a ballistic missile payload containing several warheads. Last week, Russian President Vladimir Putin said that the country will add more than 40 ICBMs to its nuclear arsenal in 2015. Putin also said that Russia’s arms modernization will continue despite the nation’s economic downturn. 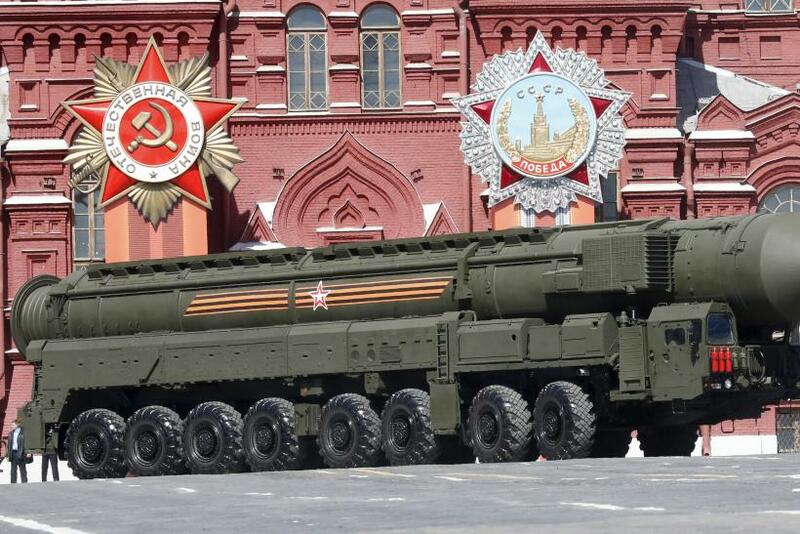 The Russian military reportedly has about 4,500 nuclear warheads, including nearly 1,800 strategic warheads deployed on missiles and at bomber bases, and 700 strategic warheads stored along with 2,700 non-strategic warheads.